This is Shelly from My Paper Love sharing a fun little card using one of the newest CDD stamp sets Simply Holiday Word Art! These new word Art stamps are really AWESOME! The New Year stamp just screamed "Shaker" card! So that's just what I did! I started with the awesome Word Art set. I made a shaker card and added a ton of chunky glitter, gold & silver sequins. I added lots of glitter and shine but kept the card CAS so the word art can be the main focus. 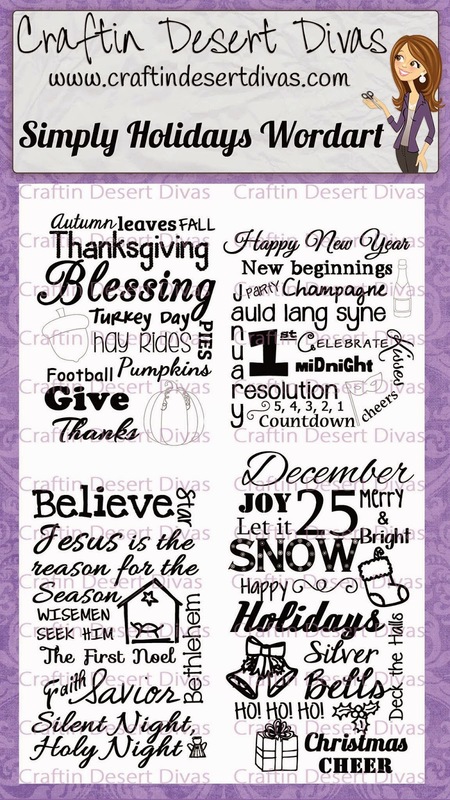 I think these stamps are so AWESOME, word art is really popular and add so MUCH to your card or project. The sequins and sparkle shaker is awesome for your New Year card, Shelly! Love the word art sentiment! Beautiful shaker card Shelly! I love the word art sentiment and the fun sequins and chunky glitter look amazing! Awesome card!